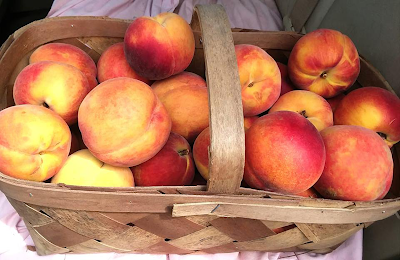 Did you know South Carolina actually outranks Georgia – the Peach State – in the production of peaches? During a normal year, South Carolina grows 60,000 tons of peaches! South Carolina is #2 in the nation in peach production (second only to California), and we are fondly called the "Tastier Peach State." I just love peach season here in South Carolina! They are so juicy, sweet and delicious. 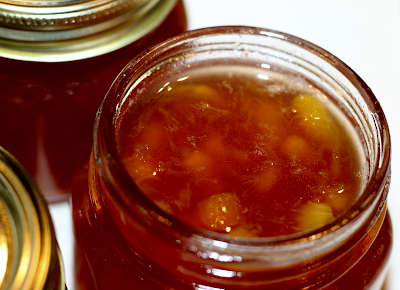 Or course I also love to make peach jam and other peach treats during the season. This Maple Bourbon Peach Jam takes normal peach jam to a whole new level. The maple syrup compliments the peach flavor so well, and the bourbon enhances it, giving it just the right amount of warmth and depth of flavor. 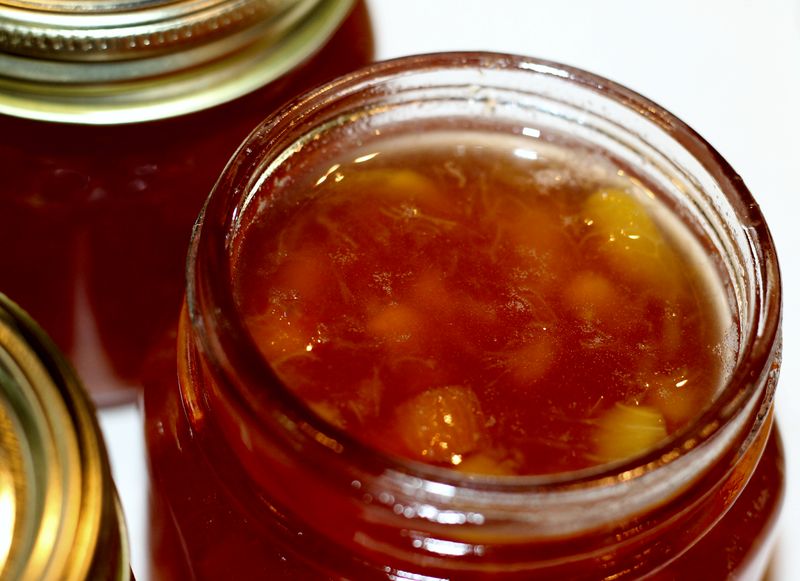 This Maple Bourbon Peach Jam is perfect on a cheeseboard with crackers, and a variety of cheeses, spread on top of English muffins and biscuits, or served alongside a roasted pork tenderloin or baked ham, it's versatile and delicious. Place chopped/diced peaches in large stock pot and mash slightly. Add maple syrup, bourbon, 2 tbls. lemon juice, one (1) package Sure-Jell and butter. Bring mixture to a boil over high heat, stirring constantly to prevent sticking. Once mixture is boiling, add sugar all at once and return to a rolling boil, stirring constantly. Boil hard for one (1) minute. 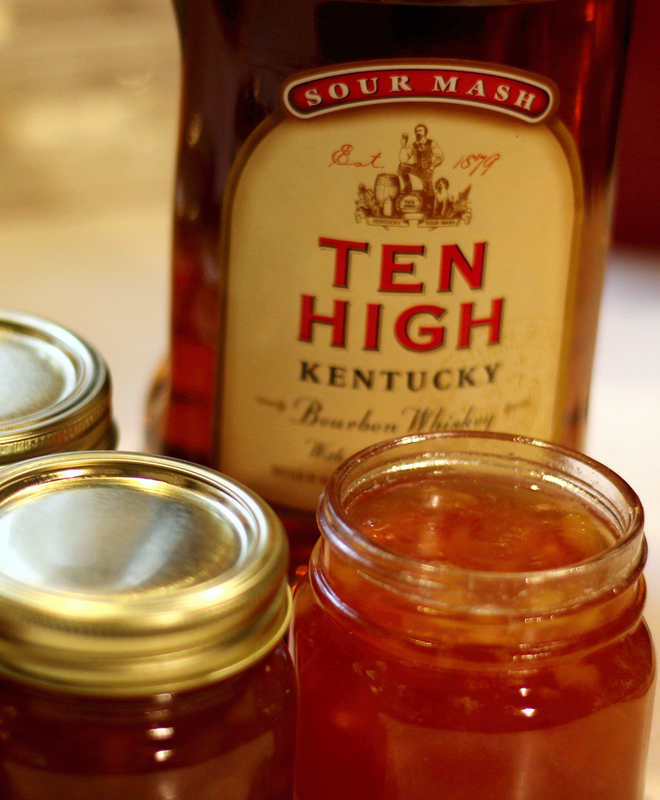 Remove from heat and immediately fill prepared jars with jam mixture.Add one tablespoon bourbon to each jar, leaving 1/4-inch head-space. Cover jars with seals and process in boiling water bath or steam canner 10 minutes. 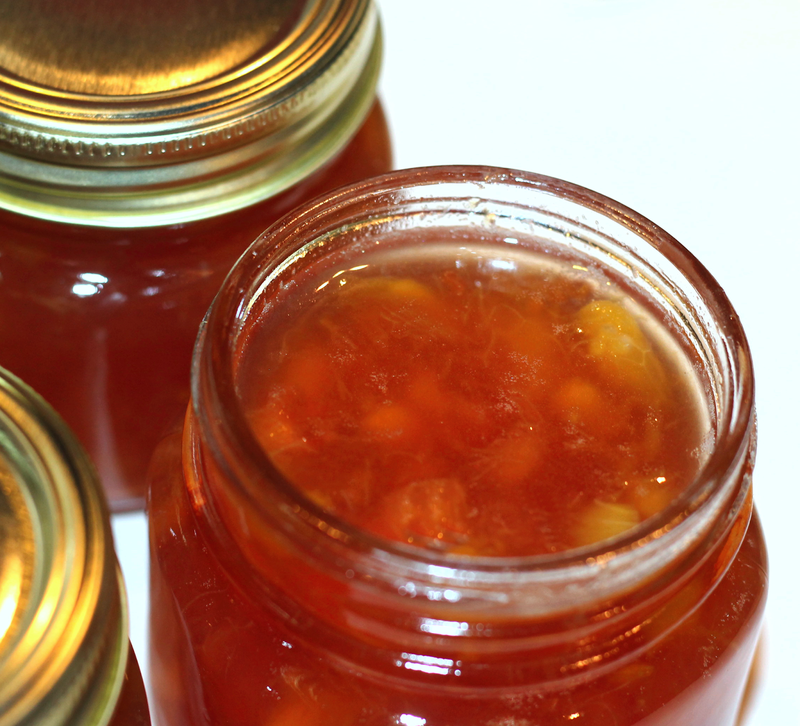 Remove from heat and remove jars placing them on a towel on your kitchen counter and let sit undisturbed for 24 hours. Jars are sealed when "button" in middle of lid is fully depressed.